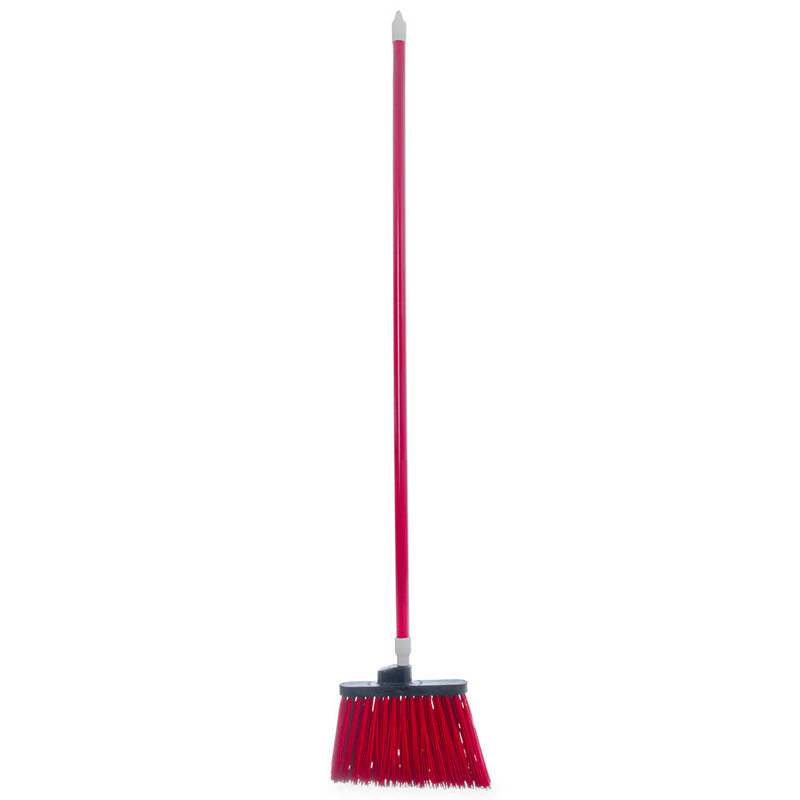 The Carlisle 4108305 Sparta® Spectrum® Duo-Sweep® angle broom reaches in corners, behind furniture, and in other cramped areas. 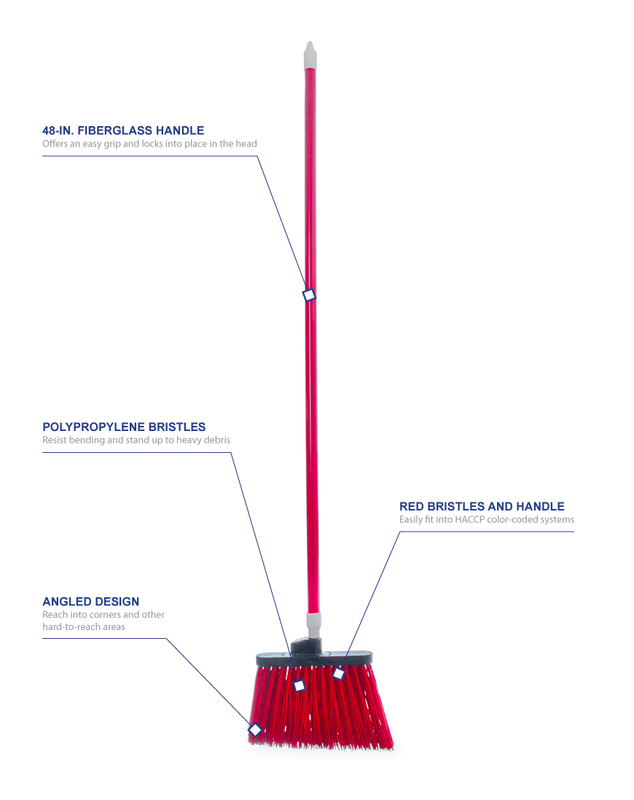 Since the handle and bristles are red, this broom can be delegated to a specific task or area to maintain sanitation. The heavy-duty block that holds the polypropylene bristles and secures the handle in place resists breaking. The Carlisle 4108305 Sparta Spectrum Duo-Sweep angle broom has unflagged bristles that can collect large debris.